Don Rogers is a lawyer who understands business. In fact, he is a very accomplished and trusted business advisor to many startup, early-stage, and growth companies. A leader in the firm’s Business and Financial Services Department, Don is regarded by many as one of the foremost business advisory/transaction attorneys in the Metro Washington area. Beyond serving as legal counsel, he is known for his practical, hands-on experience in M&A transactions, tax and business planning, employee equity plans, and succession planning. Recently, he represented Central Wholesalers, Inc., a privately held property management distribution company, in its sale to Lowe’s Enterprises. With his background in finance, tax, accounting, and his significant experience in working with many companies, Don is able to further the growth and success of a business in many ways beyond those of a typical lawyer. Clients value Don’s assistance in securing necessary resources such as seed capital, private equity, venture capital, and strategic alliances. One client, RightEye, LLC, recently relied on Don as counsel in a multi-million dollar financing investment from VSP, one of the nation’s largest vision care providers. 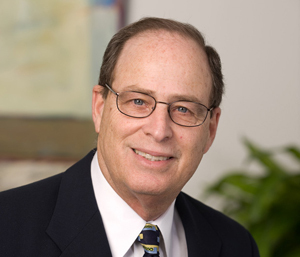 As a highly-regarded business attorney, Don has been a very effective team member in planning and executing exit strategies, mergers, and acquisitions. Don serves as a valuable member of the Board of Directors for a number of his clients (including his role as Founding Director of Eagle Bancorp, a highly successful community bank located in the Metro Washington area). His skill set in understanding business and working well with people has allowed him to be an effective part of organizing the business relationship among founders. Don is also a leader in the business and philanthropic communities. As Chairman of the EagleBank Foundation, a 501(c)(3) organization, Don has helped raise millions of dollars to fund research and to provide assistance to cancer patients. And in 2012, he was recognized for his significant contributions in the fight against breast cancer.